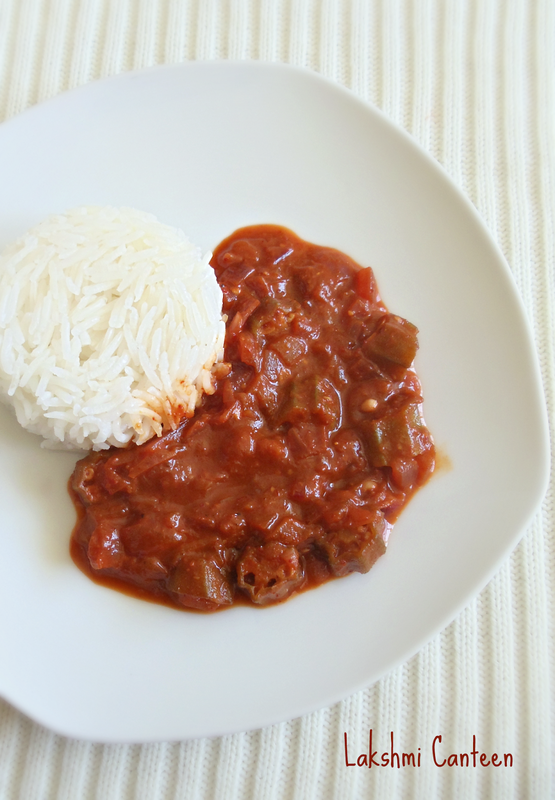 Bhenda Phanna Upkari is a spicy dish of the Coastal region of Karnataka. 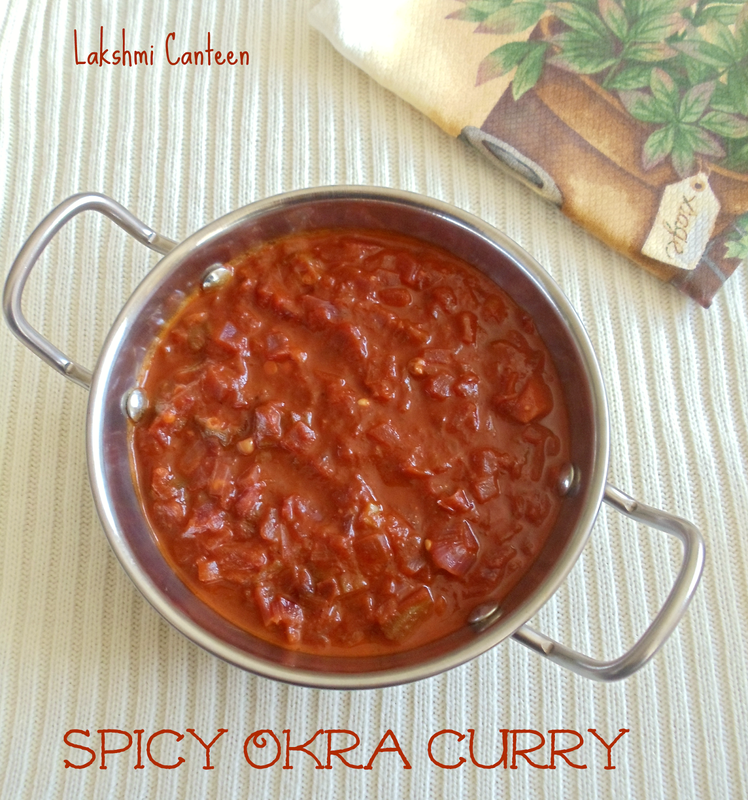 A spicy masala made using red chillies and tamarind is mixed to stir fried mixture of okra and onions. It is then simmered to get a delicious, spicy curry. Generally fish curry is made this way. But the vegetarians substitute okra, mushroom etc for fish. 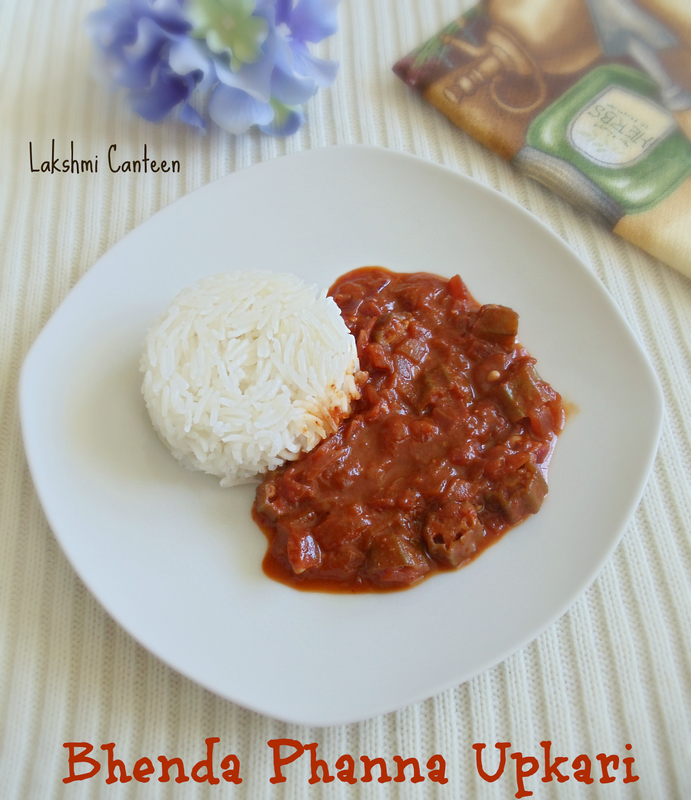 It turns out delicious and is a real treat for those who like spicy curries. 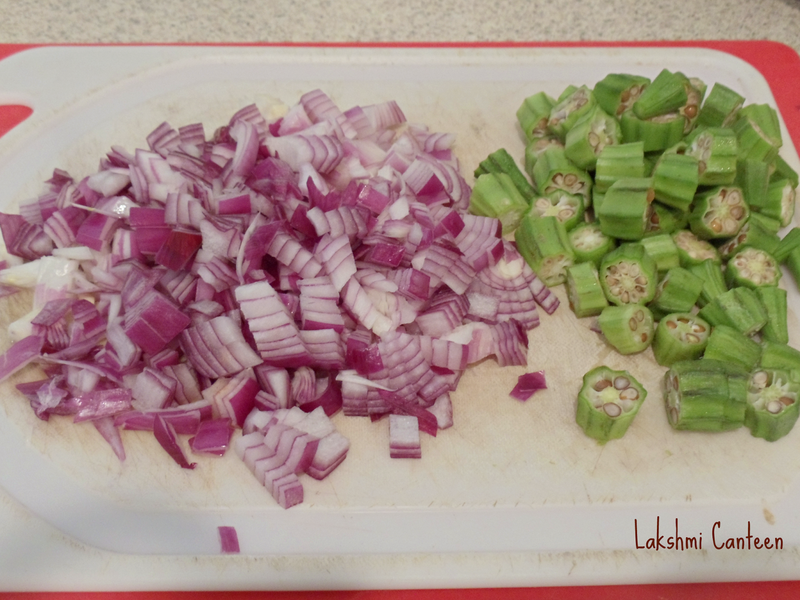 Chop the onion and Okra. Now, to prepare masala - Roast the dry red chili in few drops of oil for a minute. Let it cool. Then grind the roasted red chilli along with tamarind and little salt, to get a fine paste. Add water as required so as to get a smooth thick paste. Masala is ready. Heat oil in a pan. 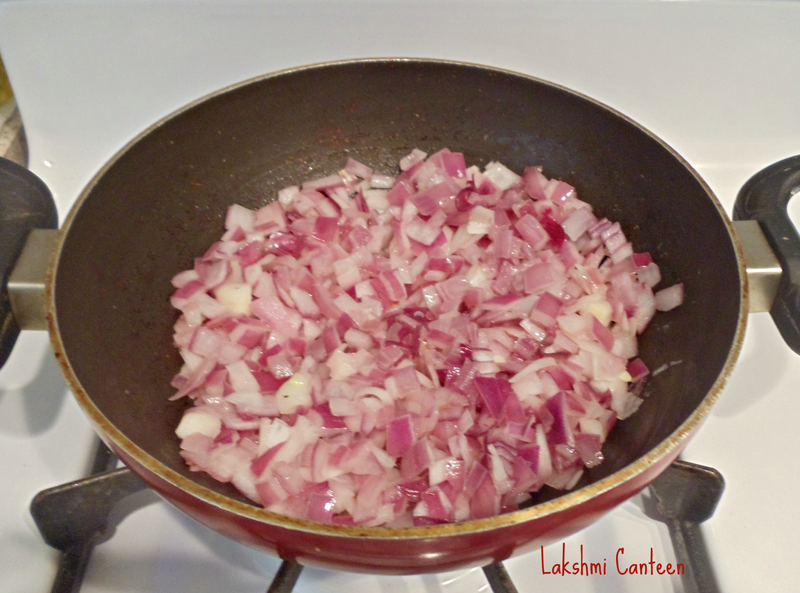 Once hot add chopped onion. Mix well and fry it until they turn light brown. 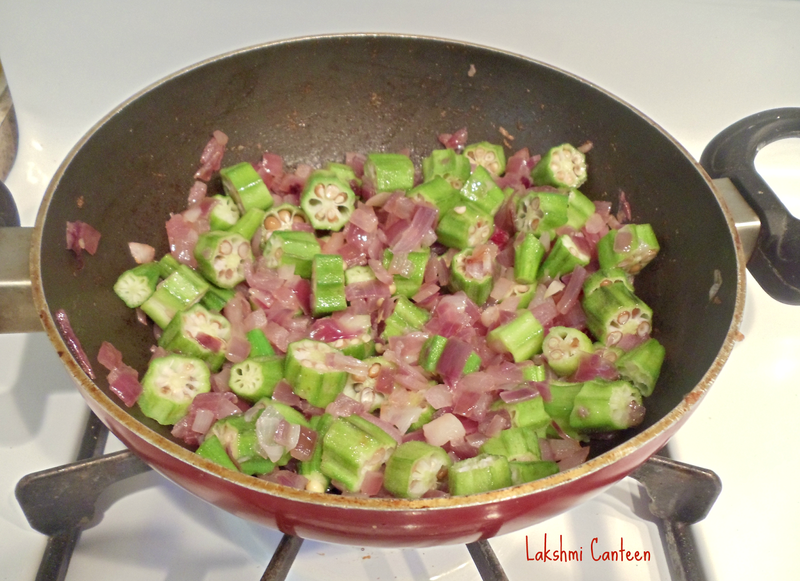 Then add the chopped okra. Mix well and fry for another two minutes. Finally add the ground masala. Mix well and add water so as to get a gravy. 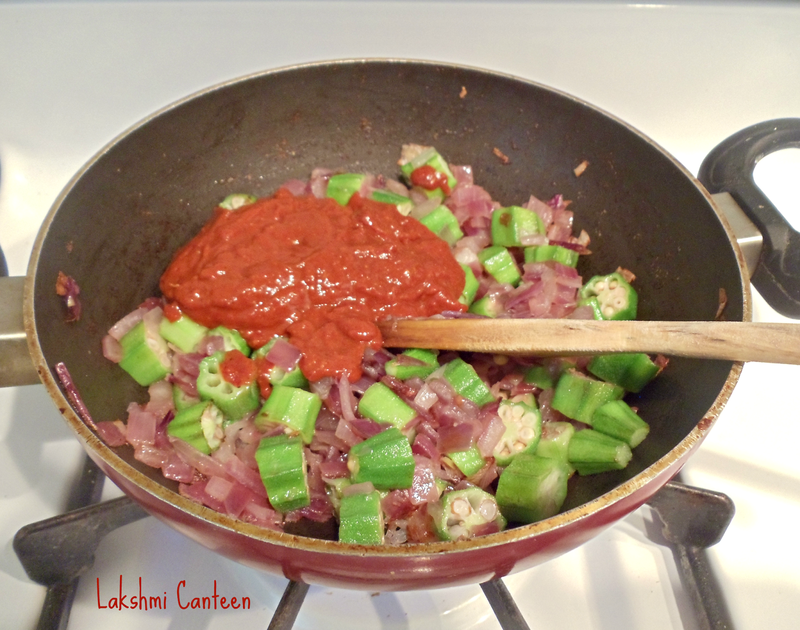 At this point add salt (If the masala is too spicy then add little tamarind pulp) and close it with a lid. Continue heating until the okras get cooked (around 4-5 minutes). If the mixtures becomes too thick then add little water to get desired consistency. Once they look cooked, turnoff the heat. Bhenda Phanna Upkari is ready!! 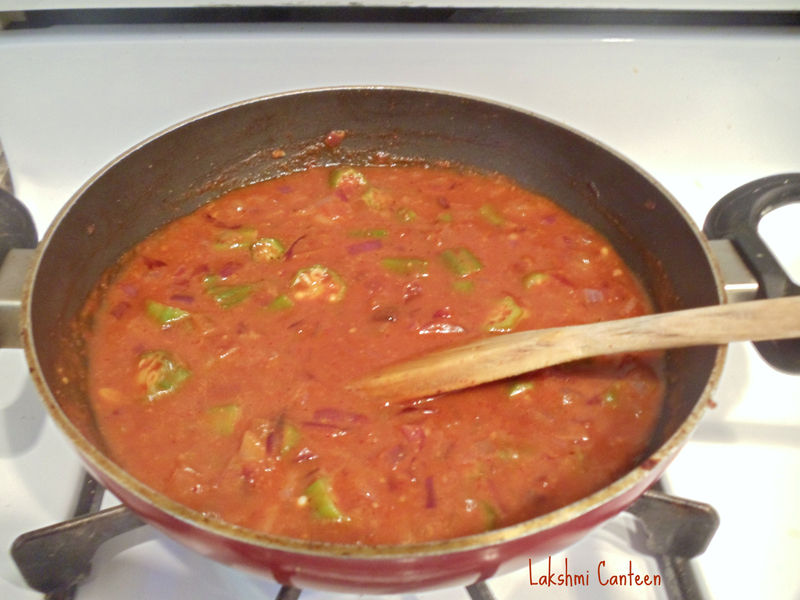 Serve it hot as a side dish to rice, dosa, idli etc. Above measurement serves two people.